Congratulations to Emily Ketchin, outright winner of #SHEINSPIRES 2019. Hailed as “the voice of Harpenden” and someone who works tirelessly to improve the train service for our town’s commuters, Emily received six separate nominations and nearly 60% of the votes, making her the most inspirational woman in Harpenden this year. Sarah Jenkins-Greig nominated Emily for her exceptional dedication, advocacy and tireless work to improve the Harpenden train service in response to timetable cuts, changes and appalling service. Emily outside Harpenden station where she has fought so valiantly to improve the train service. She was also nominated by Rebekah Ingall who said: “Emily is amazing - she has done more on the train fiasco than everyone else in Harpenden combined!”. Esther Hathorn, nominated by me, because she nurtures her large family, has made an amazing success of her business Visage Dental Spa, runs the Manland School HSA Fundraising Ideas, dances like a demon and still has time to talk to you in a really caring and helpful way with the biggest-ever smile on her face. What an inspiration! #SHEINSPIRES is an initiative run by pennybird and camera during international Women’s Month to recognise Harpenden women in our midst who inspire others. It’s vital to stop and appreciate the people around us and to say thank you in some way for their efforts, even if it’s a virtual hug. These shining people - with their strength of spirit - spur us on to make a greater difference in our own lives. Thank you to everyone who took the time to make a nomination and to all those who voted. Emily wins a photo shoot to document the work she is doing to improve the train service. You are invited to come and raise a glass to these wonderful women and recognise their amazing achievements. Everyone is welcome - prints of the photographs illustrating Emily’s endeavours will be exhibited. Cash bar available. We do not need magic to change the world, we carry all the power we need inside ourselves already. We have the power to imagine better. JK Rowling. You know her. She has courage. Deep gratitude for our world, her life, and the people around her. She listens with empathy. She loves openly and unconditionally. She is authentic. Utterly trustworthy. Deeply passionate about the things that matter to her, particularly her calling in life. Her positivity shines from every pore. She has faced adversity, but uses her past struggles to help and develop others. Janet Crawley was voted the most inspirational woman in Harpenden in 2018. 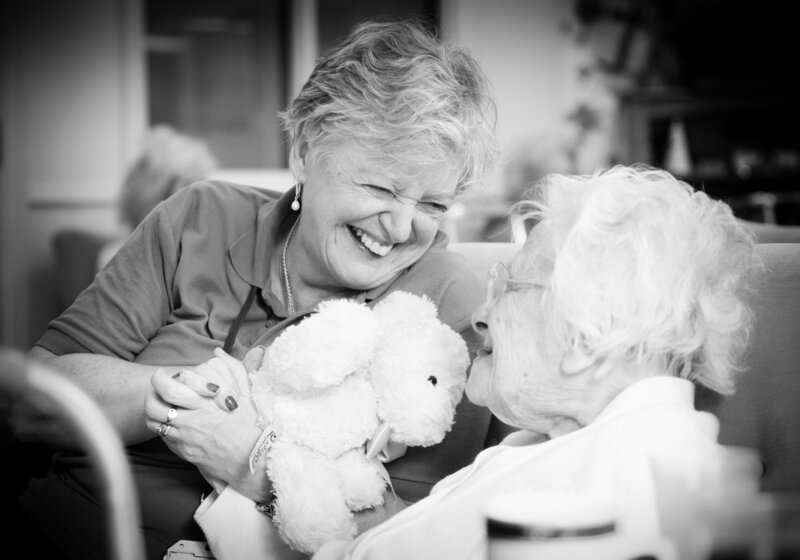 Here she is pictured at St Matthews care home in Redbourn with one of her beloved dementia residents. To celebrate International Women’s Day on 8 March 2019, let’s recognise these amazing women in our midst. We know who they are. nominate here, then vote on facebook! Celebrate the most inspirational woman in your life. (The only requirement is that she lives in Harpenden.) First complete the nomination form and submit it. Then visit my FaceBook Group Harpenden through the lens (sorry you will need to join it - I’ve tried to find an easier way to do this - without success!) add the person’s name to the poll, and vote for her. Thank you for nominating an inspiring person from Harpenden. The winner will be announced on Mother’s Day and will receive a portrait session from pennybird and camera. Thank you! Now visit my FaceBook Group Harpenden through the lens and vote in the poll.